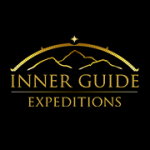 Inner Guide Expeditions offers transformational wilderness trips for teens in the Pacific Northwest and customized family expeditions all over the globe. Through personalized attention, heartfelt connection, individualized feedback, and outdoor adventure they create a foundation for awareness and transformation to flourish. They hike, play, share, reflect, and explore their way through some of the most beautiful wilderness in the Pacific Northwest and beyond. Expeditions for youth in the wilderness are kept small (8-10 participants), with 2-3 instructors/facilitators. Participants are highly supported through regular coaching to match their individualized needs and development. Each program includes a solo, the length of which depends on the trip and age of the participant. Their facilitators, throughout the duration of the experience, are near for support. In·ner – Relating to the mind, spirit, or to somebody’s private feelings; Innermost or essential; needing to be examined closely in order to be seen or understood. Guide – A person who leads others through unknown country. This includes the real world as well as more abstract places (such as to knowledge or wisdom). Ex·pe·di·tion – Journey or voyage undertaken for a specific purpose. As of 2014 we have begun a project entitled The Guide Council, which is a group, or council, made up of all high-school girls, high-school boys, middle-school girls, or middle-school boys. There are four groups total that meet separately throughout the month. As a Council, we will gather throughout the school year on an ongoing basis in order to build a solid community and create a platform where one is truly able to explore facets of themselves only possible when trust and familiarity are built within a group. There will be a maximum of ten in each council. Together, we will explore topics that arise within the group as well as explore leadership skills, self-awareness, compassion towards others & ourselves through conversation and listening. We will also be participating in activities, events, wilderness trips, and invite leaders within our community as guest speakers to bring diverse perspectives and experiences to the group. Visit our website or contact us for more info.